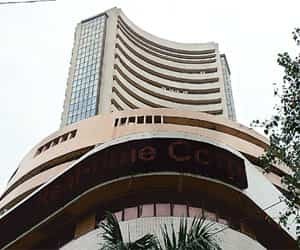 Mumbai: New foreign investors, who have just got themselves registered with capital markets regulator Securities and Exchange Board of India (Sebi), could take some time to start allocating fresh capital to Indian equity markets. This is because many of them do not have subsidiaries in popular tax havens such as Mauritius and Cyprus, widely used by foreign institutional investors (FIIs) in India to route their money in a tax-efficient manner. Sebi has cleared more than 50 applications of new FIIs since mid-October, after it curbed the use of participatory notes (PNs), a product used by unregistered foreign investors to buy Indian securities through registered FIIs. “Many new applicants and those FIIs registered after the policy changes on PNs are still in the process of setting up a tax-efficient subsidiary," said Singapore-based Fraser Howie, head of structured products at CLSA Asia Pacific, one of the largest PN-issuing brokerages in India. “While some of them may have invested part of their money in India, a large share will be brought in through a tax-efficient subsidiary that could register as a sub-account under the same FII licence," Howie added. Towering gains: FIIs have invested more than $17 billion in Indian ­equities since the beginning of this year, the highest ever annual inflow since India opened its capital market to foreign institutional investors. As on 23 November, there were 1,168 FII accounts and 3,532 sub-accounts registered with Sebi. The 50 new FII accounts include 16 applications cleared by the market regulator on 23 November. “Institutional investors who were previously buying Indian equities through PNs did not need such tax-efficient subsidiaries. However, now that they are coming to invest directly in India, it is natural that they route it through Mauritius or Cyprus," said Bobby Parikh, managing partner of BMR & Associates, a specialized tax and regulatory advisor. “The subsidiaries set up in such countries is then registered as a sub-account with the Indian capital market regulator. This process of registering as a sub-account with Sebi takes about two weeks," said Parikh, whose firm is currently advising few foreign funds to set up tax-efficient investment vehicles for their investments in India. Incorporating a company in Mauritius takes anywhere between two and four weeks from the time of filing an application with the financial services commission (FSC), the island nation’s money market regulator. Such investment vehicles or holding companies that are formed in Mauritius need local directors and bank accounts and have to meet other norms set by FSC. “Forming a holding company under the global business licence category-one in Mauritius can avoid the long-term capital gains tax in India," said Radhika Jain, a senior manager at PricewaterhouseCoopers’ tax practice in India. “The capital gains tax is exempted while selling shares of public-listed entities for investments over a period of one year. However, foreign investors in India are major investors in public issues of Indian companies, where they typically sell a part of their holding at the time of the listing," Jain added. Andre Marini, president of Ceres Asset Management, a French fund house which had earlier invested in India through PNs, said his firm will work on a tax-efficient route after getting an FII licence from Sebi. “After gaining the licence, we want to increase our investments three times in India," Marini said.